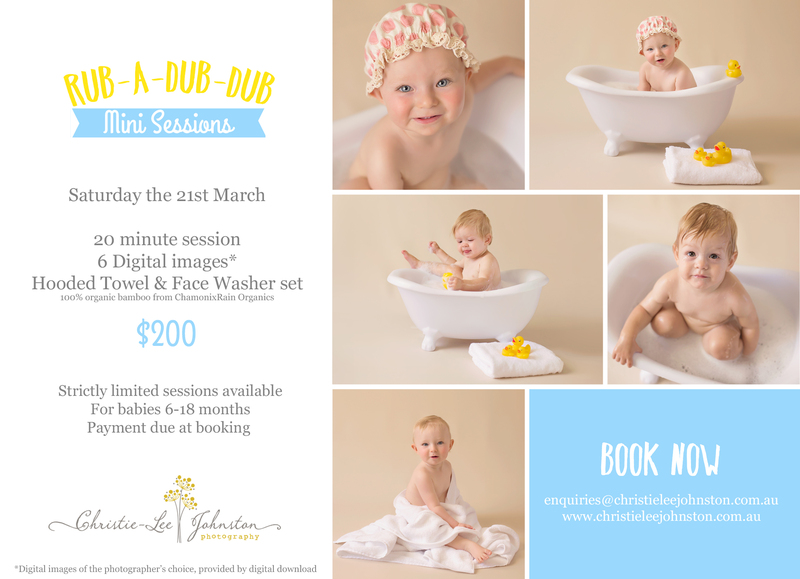 Bookings now open for Rub-a-Dub-Dub Mini sessions! I’m so excited about these, they’re super cute! Sessions are limited to the times below. I may organise a second day if there is enough interest. Session times available. First in, best dressed!